Simeon Eben Baldwin (1840-1927), a native of New Haven and alumnus of Yale College (1861), studied law at the Law School from 1861-62 and was a professor at the Law School for fifty years, as well as the Law School’s Treasurer for decades. In the Nineteenth century, the Law School faculty were not salaried positions, and Simeon Baldwin was also a leading practitioner, legal scholar, jurist, and Connecticut statesman. He was the governor of Connecticut from 1911-15, after having served as justice and then chief justice of the Connecticut Supreme Court. He was also founder and president of the American Bar Association, president of the Association of American Law Schools, the American Social Science Association, the American Political Science Association, the American International Law Association, and the American Historical Association. Governor Baldwin was the leading railroad lawyer of his day, and authored a prominent treatise on railroad law, American Railroad Law (1904). He devoted a considerable portion of his fortune, as well as his time, to the Law School, which he considered, as he put it, “a large part of my life, almost my child.” Early in his career at Yale he helped to sustain the school through a difficult period. He was also instrumental in establishing the Law School’s interdisciplinary tradition by arranging for law students to attend graduate courses at Yale in philosophy, political science, economics, and history. Upon Baldwin’s death, an unsigned tribute in the Law Journal, attributed to Arthur Corbin, stated: “The frugality and simplicity of his life were about as striking as was the unostentatious liberality of his contributions to others. He was confident, definite and inflexible; and yet his modesty and sense of proportion are strongly witnessed by his unswerving loyalty to this law school, a loyalty expressed even in his last will and testament…He is the man whose memory will be kept green; partly, indeed, because of his ideas and his unusual achievements, but even more largely because of his life and character. The Yale Law School will be proud to continue to build upon the broad and massive foundations laid by this man throughout his long and noble life.” 36 Yale L. J. 682 (1927). At the Law School, a professorship was established in his honor in 1896 and augmented in 1927, a research fund was established in his honor in 1927, a library fund in 1942 and an alumni award for distinguished achievement in law and business in 2007. For information on Simeon Baldwin’s personal papers (in the Baldwin family papers collection at Yale) follow this link. John H. Langbein, “Law School in a University: Yale’s Distinctive Path in the Later Nineteenth Century,” in Anthony T. Kronman, ed., History of the Yale Law School (2004). Frederick Herbert Jackson, Simeon Eben Baldwin: Lawyer, Social Scientist, Statesman (1955). William Kneeland Townsend (1849-1907) was an alumnus of both Yale College (1871) and the Law School (1874). 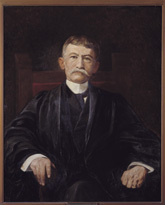 Considered “one of Yale’s most brilliant sons” and “one of the most distinguished men in Connecticut,” Townsend was appointed to the U.S. District Court for the District of Connecticut in 1892, and elevated to the Second Circuit Court of Appeals in 1902. During this period, Judge Townsend lectured on contracts at the Law School, and published a History of American Law of Patents and Trademarks, Copyrights, and Admiralty. At the Law School, a professorship was established in his honor in 1925 and a library fund in 1942. Obituary in The Nation, June 6, 1907, at 521. “Death of Judge W.K. Townsend,” 68 Forest and Stream: A Journal of Outdoor Life, Travel, Nature Study, Shooting 897 (June 8, 1907). 1 Who Was Who in America 1249 (1963). Arthur L. Corbin (1875-1967), an alumnus of the Law School (1899), became the school’s first full-time professor in 1903, and remained a force at the School for over five decades. Corbin was a giant of American contract law and an intellectual father of the Legal Realist movement that blossomed at Yale in the 1930s. His comprehensive treatise Corbin on Contracts, in updated versions, still serves as a standard reference for judges and lawyers. Typical of Corbin’s scholarship—and central to the Realist project—was the effort to probe whether important legal principles did in fact inhere in the cases that ostensibly supported them. A famous example was Corbin’s demonstration that “consideration” was not always required to make a contract binding. His recognition that “reliance” often supplied an alternative basis to consideration for contract enforcement was ultimately embodied in section 90 of the Restatement of Contracts. At the Law School, a scholarship fund was established in his honor in 1958. Robert W. Gordon, “Professors and Policymakers,” in Anthony T. Kronman, ed., History of the Yale Law School (2004). John Henry Schlegel, “American Legal Realism and Empirical Social Science: The Singular Case of Underhill Moore,” 29 Buffalo L. Rev. 195 (1980). 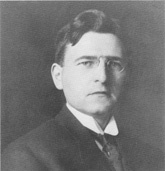 Edward Avery Harriman (1869-1955) came to the Law School from Northwestern, where he was a Professor of Law and faculty Secretary. Harriman was a prominent contract law scholar who corresponded frequently with Justice Oliver Wendell Holmes, Jr. on the theory of contracts. The correspondence began when Harriman sent Holmes a copy of his law review article, “The Nature of Contractual Obligation,” 4 Nw. L. Rev. 97 (1895), that drew upon Holmes’ ideas. That article was the first chapter of Harriman’s treatise, Elements of the Law of Contracts (1896), which he later expanded into a multi-volume work, The Law of Contracts (1901). Harriman left Yale to serve in World War I and thereafter practiced in Washington, D.C. and lectured at George Washington University Law School, publishing a book on the League of Nations, The Constitution at the cross roads : a study of the legal aspects of the League of Nations, the Permanent Organization of Labor and the Permanent Court of International Justice (1925). 2 Modern History of New Haven and Eastern New Haven County 111-12, (1918). David J. Seipp, “Holmes’s Path,” 77 B.U. L. Rev. 515 (1997). Who’s Who in Law (1937). 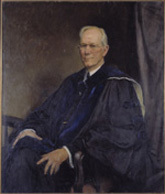 William Reynolds Vance (1870-1940) was dean of the University of Minnesota Law School before returning to Yale in 1920. Vance was a leading insurance law scholar of his day. His casebook Cases on the Law of Insurance, first published in 1914, remained in print (in various editions) for nearly forty years. Vance also served as general editor of West Publishing’s American Case Book series from 1912-35. Vance taught the first year course on property at the Law School, as well as his specialty, insurance law. He vigorously opposed the 1935 Restatement of Property, contending that its “black letter formulas [were] of relatively little value,… sometimes inaccurate, often obscure and always pompous and dull” and that “a judge who would base his decision of any question of law upon the [Restatement] would be worse than lazy; he would be incredibly stupid.” “The Restatement of the Law of Property,” 86 U. Pa. L. Rev. 173, 173, 188 (1937). In this respect his position echoed that of many of his Legal Realist colleagues, who opposed the restatements in their fields, although he has been described as “a first generation Realist …dismayed by its excesses” and as “Yale’s most conservative theorist” at the time. Wesley N. Hohfeld (1879-1918), came to Yale from Stanford in 1914, and remained until his untimely death at the age of 39. In his brief career, he published articles on a wide range of topics, including corporate law, partnership law, conflict of laws, trusts, and jurisprudence. Hohfeld’s most lasting contribution to legal scholarship was his two-part article “Fundamental Legal Conceptions as Applied in Judicial Reasoning,” 23 & 26 Yale L. J. 16 & 710 (1913 & 1917), which was republished as a book several times by Yale University Press (1st ed. 1923). In it, Hohfeld analyzed the notions of legal “rights” and “duties,” breaking them down into a framework of claims, privileges, powers, and immunities on the one hand, and corresponding duties, no-rights, liabilities, and disabilities on the other. Hohfeld was primarily concerned with legal rights that grew out of contracts, trusts, and partnership agreements. But his work has been profoundly influential in many fields. His ideas feature prominently in the work of Karl Llewellyn and the legal philosopher H.L.A. Hart, among many others. At the Law School, a professorship was established in his honor in 1958. Carl Wellman, “Wesley N. Hohfield,” in John A. Garraty & Mark C. Carnes, eds., 11 American National Biography 19 (1999).